"Off the Menu", A satisfying Gem That Hits The Spot! "For a fun, light, and whimsical adventure, OFF THE MENU satisfies!" 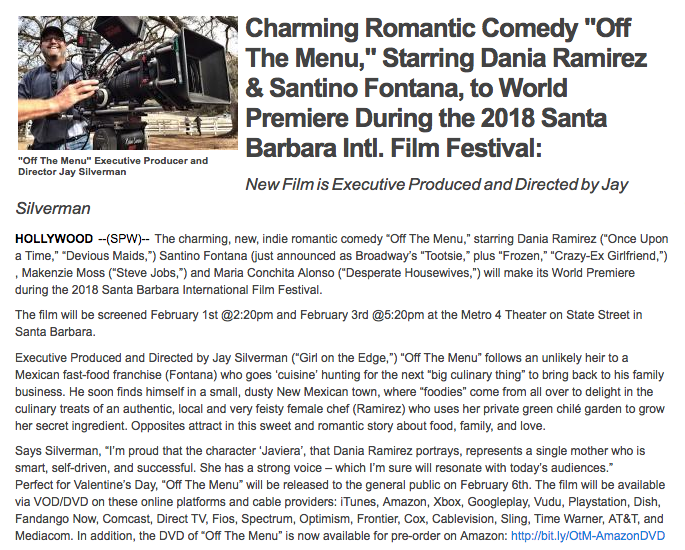 "OFF THE MENU RIVALS 'CHOCOLAT' IN ROMANTIC INGREDIENTS"
SHOOT ONLINE ANNOUNCES SBIFF SCREENING! OFFICIAL RELEASE ON VOD/DVD IN FEBRUARY! 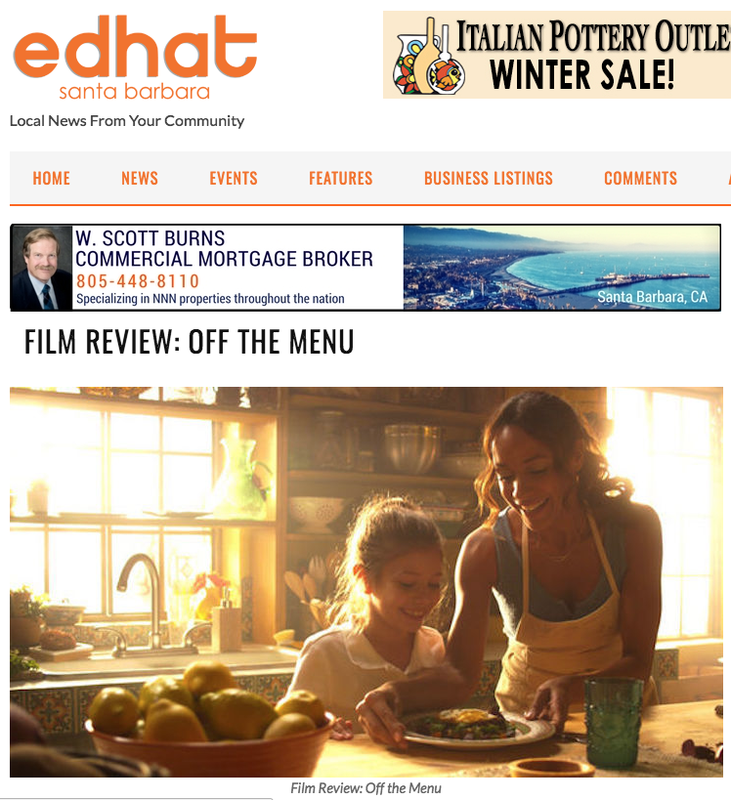 OFF THE MENU to make it's World Premiere at Santa Barbara Film Fest! 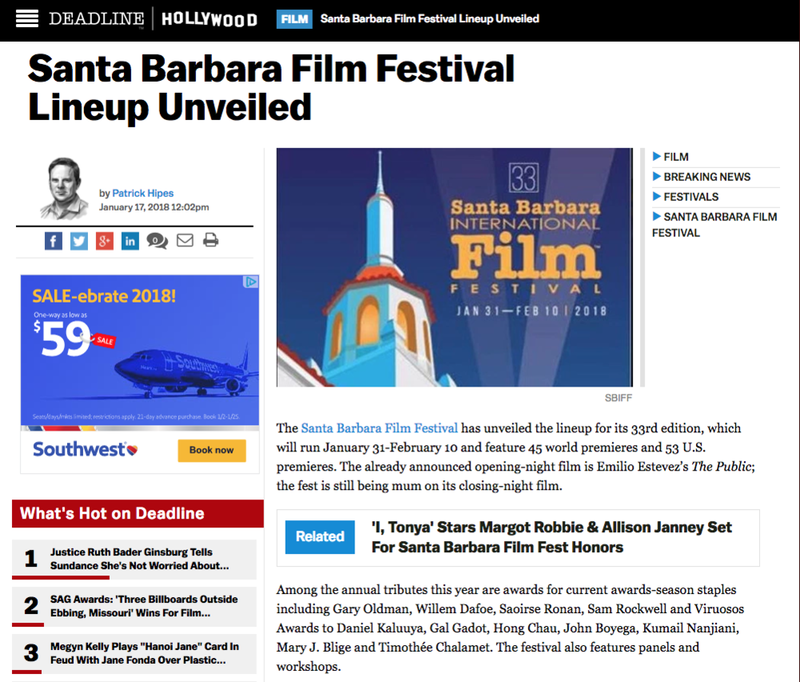 Santa Barbara Film Festival announced it's line up for the 2018 festival on Deadline! 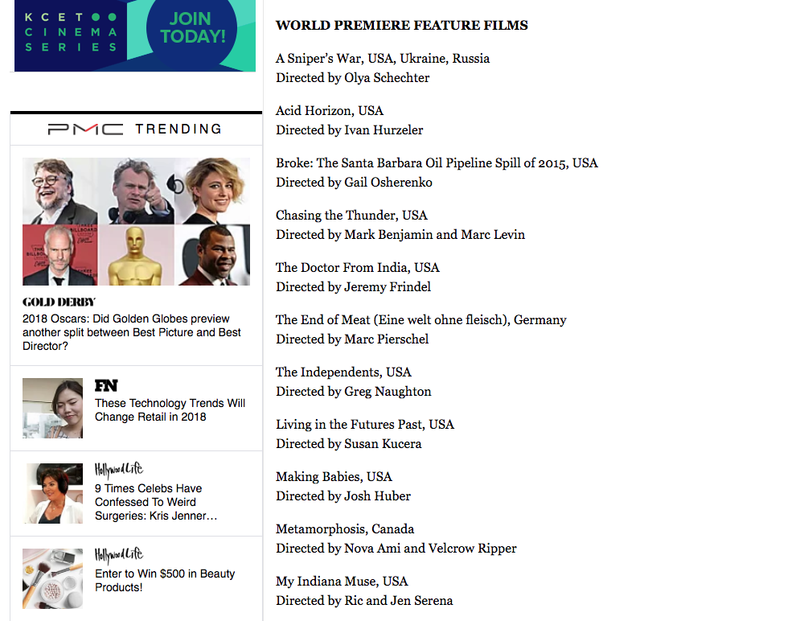 OFF THE MENU to make it's World Premiere at the festival!!! Variety announces Vision Films Acquires "Off the Menu" for 2018 Release!